There are so many questions that people have at the beginning of the process, it can seem overwhelming. That’s why we offer a no-charge, one hour consultation to help you understand the Fairway Divorce Solutions process, and to help determine if divorce mediation is a good fit. Both parties must be willing to participate and work towards a fair resolution. At the end of the hour, you’ll also know what to expect in terms of fees for the process, the length of time it will likely take and the order of the step-by-step meetings that will follow. At Fairway Divorce, we are committed to Changing the Way Divorce Happens. 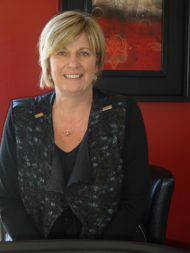 Colette Fortin is considered one of the top divorce mediators in Southwestern Ontario. She is an Accredited Family Mediator with the Ontario Association of Family Mediators, a member of the ADR and a Certified Divorce Financial Analyst. Colette is also a child development expert with 20 years of teaching and coaching experience. She brings a unique communication coaching element to the practice which allows people to rebuild post-separation communication. As owner of the Fairway Divorce Solutions Waterloo-Wellington office, she has personally helped over 200 couples navigate the challenges of separation and has become the go-to expert for local media on divorce issues. Colette is a Kitchener-Waterloo resident who continues to spread the message that divorce does not have to devastate family finances and destroy relationships. Fairway Divorce provides a comprehensive Divorce Mediation service, an alternative approach for divorcing couples to resolve all issues related to their separation (property, support and parenting issues). Their unique step-by-step approach allows couples to achieve their best outcome while preserving assets, saving time and protecting their future co-parenting relationships. With a focus on fair resolution, most couples complete their process in under 120 days and usually on a flat fee basis. The Fairway model accesses experts from a variety of areas (law, pension, business valuations) especially important for high net-worth couples with complex assets and/or family businesses. Most of all, Colette and her team bring compassion, empathy and care to the process to allow families to move forward with dignity, optimism and hope. Colette brings a very family-centered, grounded approach to an emotion-packed, often high conflict situation. Her process provides education on law and parenting, one-on-one coaching and guiding, all with the goal of helping people move through the process in a much less stressful, less-costly way than the traditional court based system. Colette is a communication and conflict coaching expert and clients feel a sense of trust and comfort from the very first meeting. Her years of experience both as a mediator and former educator, means coaching and listening are a big part of what Colette brings to every situation. She understands first hand how frightening the beginning of separation process can be. That is why the first step is a free consultation whereby she will provide education right from the beginning. When it comes to parenting post-separation, Colette brings a vast amount of knowledge of child development and provides parents with post-separation tools to help their children transition through this major change. She has developed scripts on talking to children and coaches parents through every step. As a mediator/negotiator, Colette's expertise in conflict management and negotiation skills assists couples to resolve even the most difficult issues.